This week, we’ve got a quick blog showcasing the full suite of Hog Wild REQs, and a bit more. Onwards! 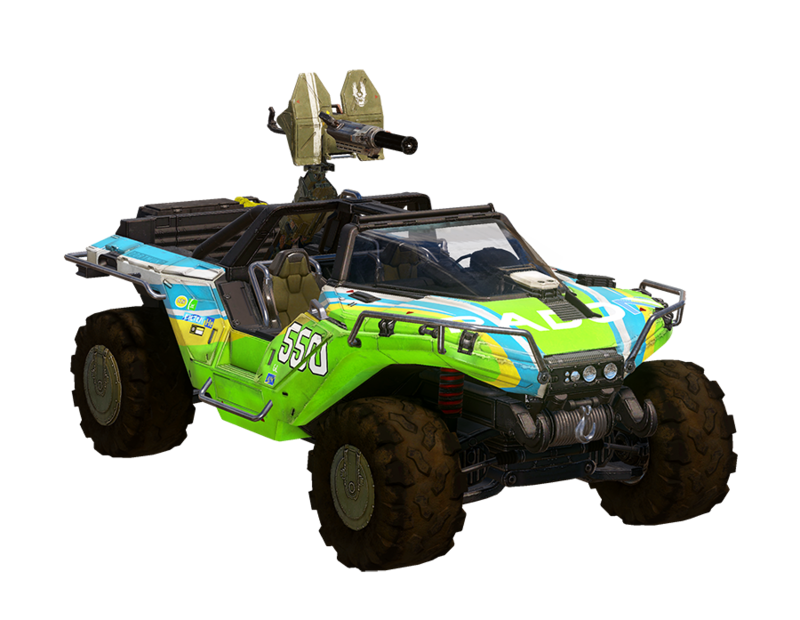 Teams across the studio are preparing for the upcoming Hog Wild REQ Drop, the Warzone Firefight release, and even goodness that lies beyond. The Halo Wars 2 team is anxiously gearing up for E3, where the game will indeed be playable. There’s also – well, I can’t talk about more just yet. 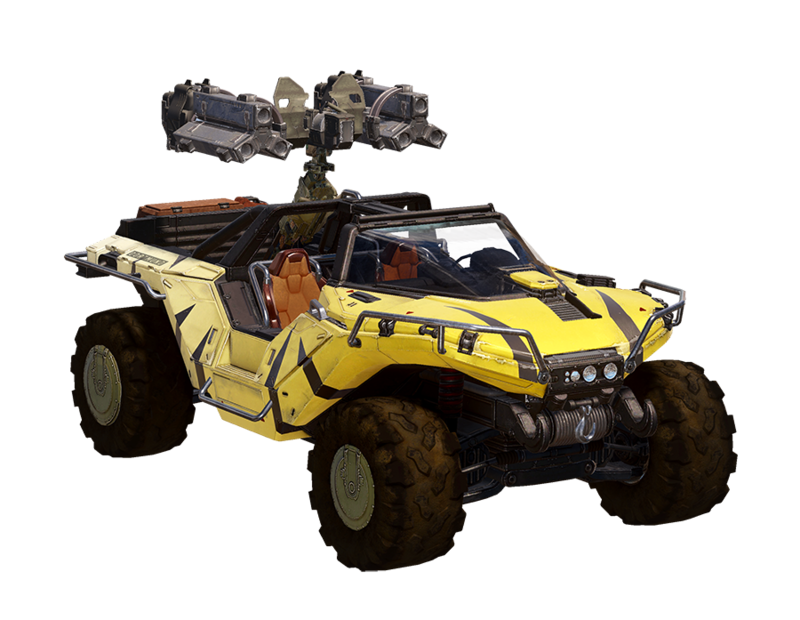 To stay out of trouble, let’s get right into the Hog Wild REQ Drop. Just in case you missed it last week, a few of the bigger items that were slated for the Hog Wild update have been given a bit more time for finishing touches and polish. 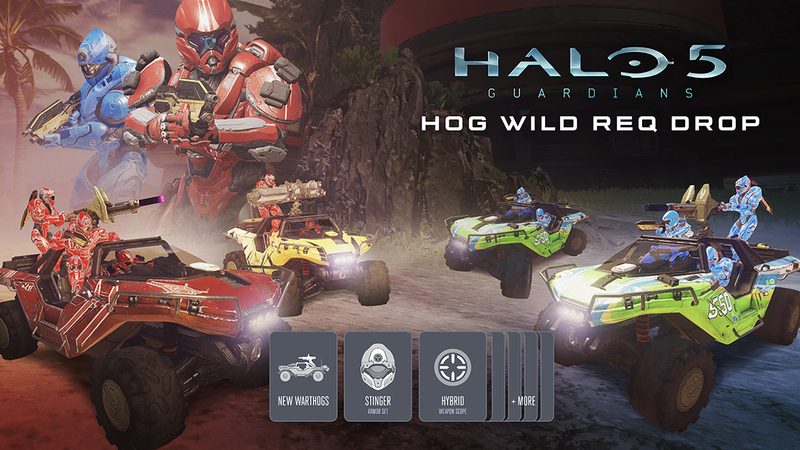 As a result, much of the contents of the Hog Wild release have moved to the Warzone Firefight release, which is currently scheduled to be Halo 5’s largest release to date, and to drop at the end of June. That said, as we announced last week, we’re still dropping the Hogs into the LZ, and as you might expect, it is indeed gonna be hot. Hit it, graphics guys and gals. Advanced and deadly Rocket Hog with high-acceleration Rocket and faster reload time. Advanced and durable high-speed ‘Hog, with greatly increased speed and heavy armor. Sangheli-sourced and based on the Carbine’s holoscope, the Hybrid scope uses holographic target acquisition and can retrofit your BR, DMR, SMG, or AR. After several weeks of internal testing, your feedback from the Team Arena Summer Preview playlist, and multiple rounds of feedback with HCS Pro League teams, the multiplayer team has locked on final map layouts as well as map and game type combinations for Team Arena and the HCS Pro League, as well as new map layouts for additional playlists. To see the full details, head here. As of today, the Team Arena playlist has been updated with new map layouts and game types. They are as follows. We’ll see you in the playlist, and remember: Pro League starts next Thursday, June 2nd on Twitch.tv/Halo. 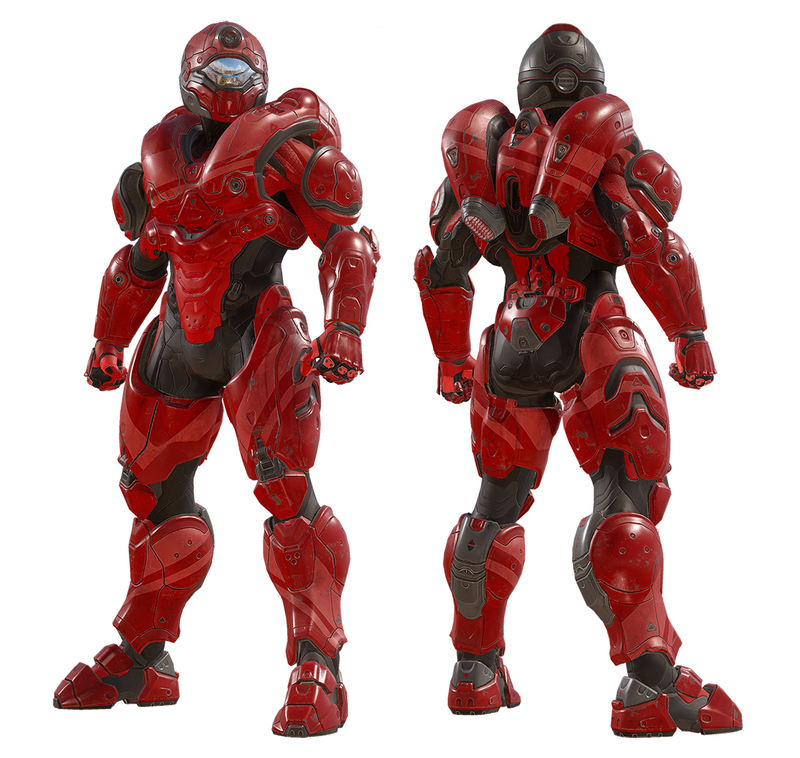 The Warzone Firefight release has a few items we haven’t talked about just yet. One of these is a Warzone Boss Refresh, which the Character and Warzone teams have been working on for quite some time. This week, we’re giving you a sneak peek into what’s on the way. Here’s Patrick Wren and Chris Proctor. We had a few major goals when it came to refreshing our bosses for Warzone. One is to create more dynamic matches. One way of doing that was adding dynamic bosses, and by using some foundational systems created for Warzone Firefight, we’ve been able to introduce these to Warzone for the first time. One example: on Apex 7, at the 2-minute mark, you could either have a Zealot Assassin Boss in the Caves, or a Ranger Commander and his squad dropped off at the beaches. Each Warzone match should be a bit different instead of the same encounters game after game. Another goal for updating Warzone was to give Legendary bosses better identities and a bigger payoff. We worked with Chris Proctor and now our Legendary Bosses have unique names, visual identity, and a unique REQ weapon. 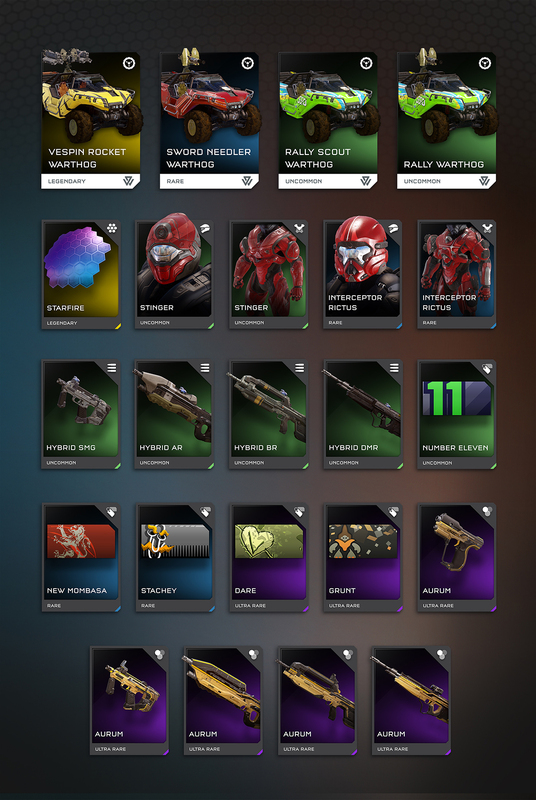 Players who defeat these bosses will have a chance of collecting and using these unique weapons sans REQ card. 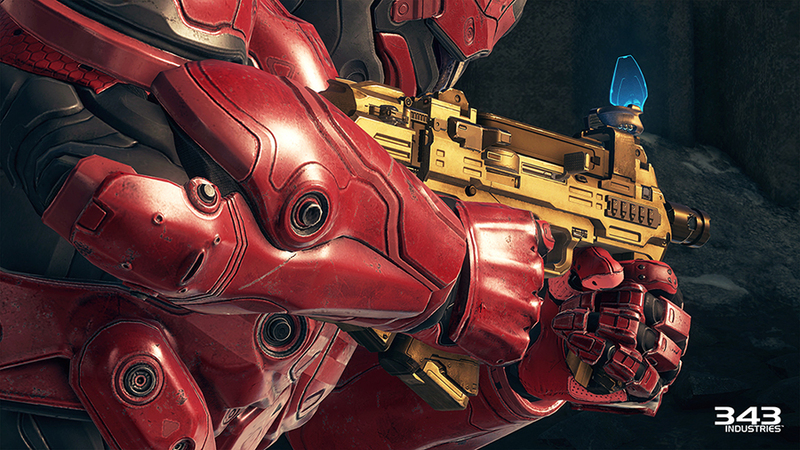 The Warzone Boss Refresh is exciting and we can’t wait for people to play it. There is so much more to talk about with new minion types, reinforcements, roaming bosses, complex encounters and more, which I’m told I can’t talk about just yet. A new tier of bosses that are challenging enough to justify the “Mythic” title, with some twists on their gameplay. For example, the Mythic Hunter moves quicker and fires more dangerous, homing cannon rounds. Boss variants to allow for randomization of bosses (we know players are eager for something other than the Warden). A hierarchy of characters with a clear color progression, used across bosses and minions, so that players can identify tougher enemies at a glance, and provide more gameplay variety through character durability tuning and weapon selection. We always use custom character tuning for bosses, with regular, Legendary, and Mythic variants. For minions, we generally use campaign tuning for the bottom tier, and then two tiers of Warzone-specific tuning above that. Boss difficulty progression within a match and round to round in Firefight – no more identical-looking but variable-toughness enemies. 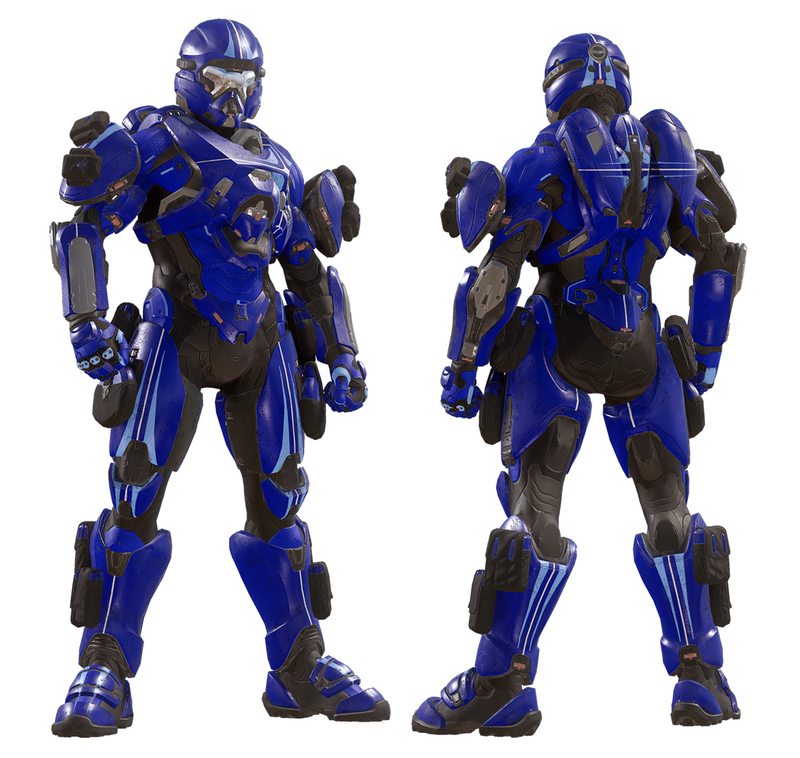 Have enemies fire interesting weapons at you, and then drop those weapons when they die so that you can try out some of the REQ weapons – for example the Mythic Knight Battlewagon will use and drop Didact’s Signet, the Scattershot weapon variant. Allow players to fight against powerful new foes. We'll be bringing you more on the Warzone Boss Refresh as we get closer to release. This week, we're highlighting The Cellar by ArturBloodshot. File this one under "psychological horror maps that scare the sh*t out of us." Next up, I’ll toss over to Grim for one last segment before we look at the play of the week. It’s so shiny! Me seem to member things looking preeeeeetty bleak there for a while, with me an’ all the other Unggoy spendin’ years just mostly running away from green demons, or mean boss flappy-mouths who just wanted to make sure we got shotted at first. But now… well now the blue lady helps us. I meen, it’s weird and confusing and all because she used to help the green guy be mean to us, then she was mean to the green guy, then nice to us… I don’t know, she’s definitely the most confusing blue lady I’ve seen – I mean, she’s really the ONLY one I’ve seen, but whatevers. So yeah, weird, right? At any rate, rumor has it that this week’s issue of Canon Fodder might have some additional info that could help shed a little more light on things. Just a rumor though, I guess you’ll just have to check it out and see for yourself. This week, we're taking a look at Laser Maniac being a...Laser Maniac. That'll do for this week, friends. We'll be back again soon for more.